A short trek, relatively easy from Paro to Thimphu or the other way round. The Druk Path goes as high as 3800m above the sea level. 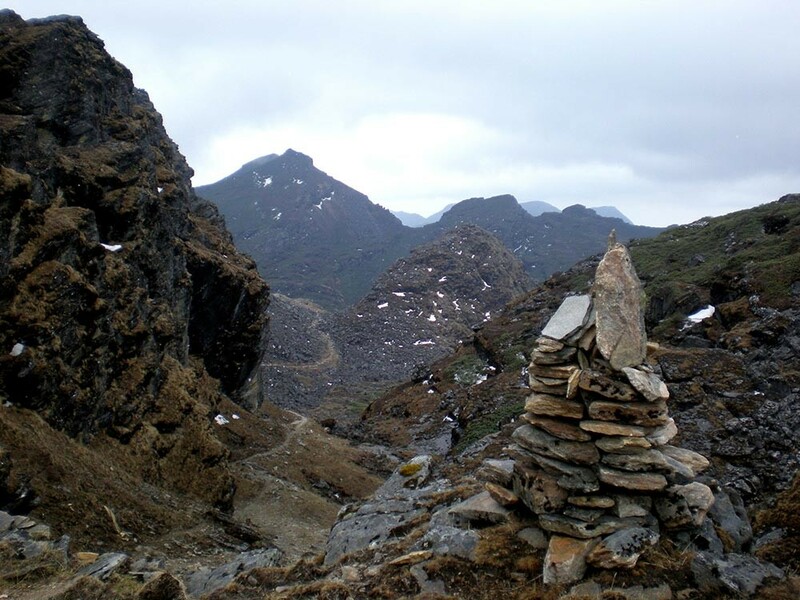 This trek is very wonderful and a very popular trek in Bhutan – as this trek requires a shorter duration. The trek is moderate and demanding one. En-route, on clear weather, views of the Himalayas are breathtaking, the sceneries are beautiful and fantastic, monasteries, lakes, the rhododendron and high altitude wild flowers and many more makes the trekking very interesting and memorial in one’s life time. Druk path trekking in Bhutan is a famous trekking route in Bhutan. Druk path trekking leads from Thimpu to Paro, or vice versa, crossing the chain of mountains that separates the two valleys. Although there is little settlement on this route, there are wonderful lakes teeming with fish and the area is famous for its spectacular rhododendron forests, which bloom in May. In the clear weather of late autumn and winter where are views across to the Himalayas. 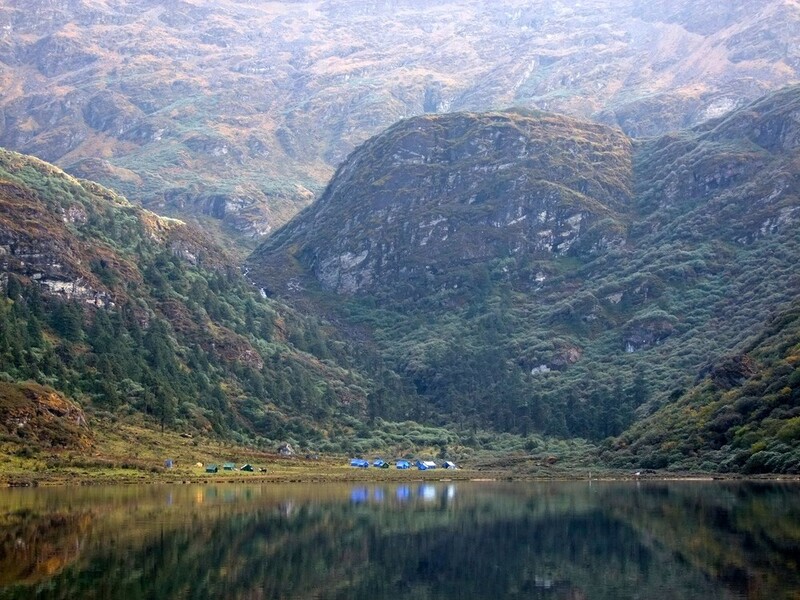 The Druk Path trek goes as high as 13,000 ft past fresh water lakes abundant with fish (trout). Flowering rhododendron and high altitude wild flowers make this a colorful trail in the spring Feb, March, April, May, June- Sept, Oct, and November is the best season for the Druk path trekking. Druk path trekking is an excellent choice for anyone wanting to experience trekking in Bhutan. Day 1: Arrive Paro International Airport by Druk Air. Day 2 : Paro – sightseeing. Day 3: Paro – Excursion to Taktsang. Day 4: Paro – Jele Dzong (trek starts)Distance – approximately 7 kms. Alt.2576 mtrs. Day 5: Jele Dzong – JanchulakhaDistance – 10 kms. Alt 2879 mtrs. Day 6: Jangchulakha – JimilangtsoDistance 11 kms. Day 7: Jimilangtso – Simkota. Distance –11kms.alt. 3485 m.
Day 8: Simkota – Phajoding. Distance-10kms. Alt. 2879 mtrs. Day 9: Phajoding – Thimphu. Distance-8kms. Alt. 2439. Day 10: Thimphu – Sightseeing. Visit Tashichho Dzong, the seat of the Royal Government and the summer residence of the Head Abbot and the central monastic school.Visit the handicrafts emporium where Bhutanese textiles and other arts are displayed and can be purchased.Visit the painting and wood craft schools where traditional art and painting are kept alive. Visit the Memorial Chorten, a huge stupa built in memory of the Third King who reigned from 1952-1972.Visit the National Library where ancient manuscripts are preserved.Visit Simtokha Dzong (6kms from Thimphu), the oldest Dzong in Bhutan, built in 1629 A.D. the simtokha Dzong houses the largest monastic school in the country. Day 11: Thimphu – Excursion to Punakha/Wangdi. Day 12: Departure from Paro airport. Country presentation and tour Briefing on the evening of first day with welcome drinks. Private transportation and a designated driver within Bhutan. Toyota 4WD luggage vans and light trucks for group travel. Luggage will be hauled by horses, mules or yaks at higher elevations, if required. International airfare and airport departure tax. (Please see the Druk Air flight info below). Tips for tour guides, porters, driver, hotel lobby and in restaurants. (Tipping is expected).